March 24 - In the context of the 34th World Expo opening in Milan this spring, Het Nieuwe Instituut addresses this phenomenon from different perspectives between April 26 and August 23. The exhibition What is the Netherlands shows how the Dutch entries to the World Expo have always been the result of collaborations between government, industry, designers and artists. In the exhibition What is the Netherlands curator Stephan Petermann (AMO, the research department of design bureau OMA) outlines a portrait of 14 Dutch contributions to the World Expo since 1910. AMO transforms the 14 radically different pavilions into a series 1:1 models, realised on the same scale, which for the first time creates an overview and offers possibilities for new analysis. The dedication and pride with which the Netherlands puts itself in the spotlight each time is striking. The exhibition features highlights from the presentations within the pavilions, including a mural by Karel Appel and a series of chairs from the pavilions, revealing striking developments in Dutch design: from Michel de Klerk to Maarten Baas. The German philosopher Peter Sloterdijk has described the World Expo as a place where two extremes meet: capitalism and lyricism. In a specific coalition, politicians, businesses and designers develop pavilions and presentations that give an image of a country. This offers a reflection of the current situation of a country, but also gives expression to the ambitions for a future stadium of innovation. 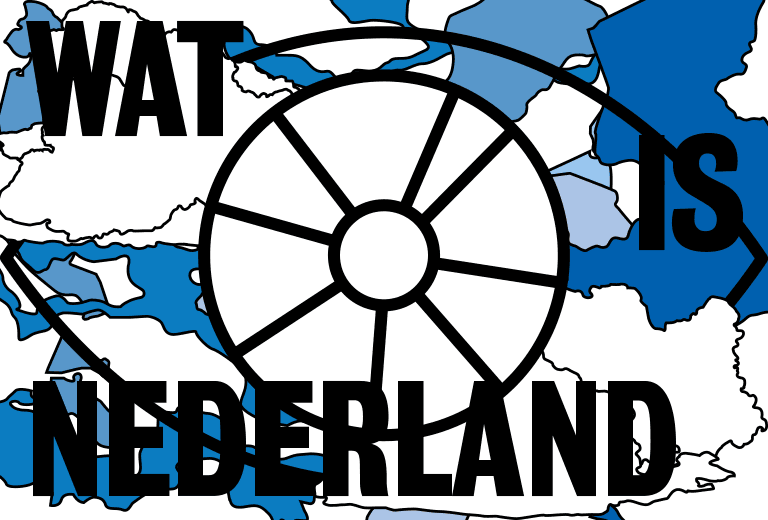 What is the Netherlands presents over a century of dialogue between modernity and nationality, economy and culture, business interests and speculation about the future. Although the exhibition only focuses on one country, the differences are overwhelming. Sometimes the entries were profound and exotic, sometimes modest and humble, experimental or downright funny – but always under the heading 'Dutch'. For an important part, the exhibition What is the Netherlands is based on a research by Marie-Thérèse van Thoor on the Dutch entries to the World Expo between 1910 and 1958. Since its inception a variety of differing ambitions have come together at the immensely popular World Expo. What prevails over all differences, however, is a strong faith in progress. In the most spectacular manner, the World Expo's – which have brought us iconic buildings such as the Eiffel Tower in Paris and the Atomium in Brussels – presented a vision of a future where technological innovation is able to bring the unattainable closer. The ability of designers to capture the unseen forms an important incentive for Het Nieuwe Instituut to develop a comprehensive programme on the theme of the World Expo, which also looks the future of the World Expo itself.